Chanteur Country US né le 20 Novembre 1960 à Milledgeville (Georgie). 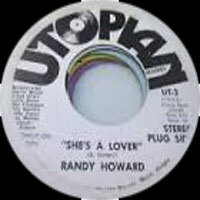 Randy Howard est décédé le 29 Juin 1999 à Nashville (Tennessee). 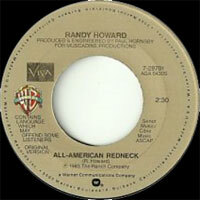 US Country singer born on May 9, 1960 in Milledgeville (Georgia). Fiddle player Randy Howard was encouraged by his father to play an instrument -- first, the drums, then the electric guitar, and then the fiddle. 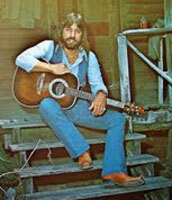 Howard developed an affinity with the fiddle and joined his father and cousin in a bluegrass band. In 1979, at age 18, he became the youngest person to win the World Championship Fiddling Contest in Union Grove, North Carolina, and won numerous other fiddling and mandolin contests. Howard's first sessions were with the Southern rockers Charlie Daniels, the Marshall Tucker Band, and the Allman Brothers. In 1990, encouraged by his friend Mark O'Connor, he moved to Nashville and played on sessions with BlackHawk, Vince Gill, Kennedy Rose, Shelby Lynne, and his namesake, singer/songwriter Randy Howard. He often toured with Kathy Chiavola's band. Howard once said, "I'd like to be remembered as a musician who was creative, who has never played mechanically and who always gave each song his best shot." 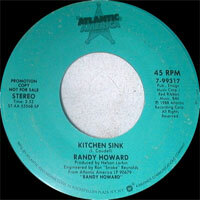 Randy Howard died of cancer in June 29, 1999in Nashville (Tennessee). Chiavola's album From Where I Stand is a tribute to his memory.